The anecdotal accounts began trickling in early last year. Patients reported trying to fill a prescription at the pharmacy counter, only to be told coupon assistance programs no longer counted toward their deductibles or out-of-pocket maximums. As a result, before their insurance would cover the medication, they were on the hook for thousands — and sometimes tens of thousands — of dollars. Some made tough sacrifices to continue to pay for their prescriptions until they reached their deductible. Others wouldn’t — or couldn’t — and stopped treatment. Manufacturers paid close attention to the deployment of these programs, called co-pay accumulators. If a large enough pool of people stopped taking their medications because of them, demand for their drugs would fall and they would suffer, too, albeit financially. Experts predicted an impending tipping point triggered when enough patients maxed out their coupon cards and discovered that, thanks to co-pay accumulators, their often very high deductibles hadn’t been touched. Providers and advocates worried about the serious health implications for patients. The pharma industry, worried about its bottom line, rallied around similar talking points and readied itself for battle. Yet as 2019 begins, the impact of co-pay accumulators on patient health remains something of a question mark. While reports of affected patients have continued to emerge, the tsunami of predicted outrage and publicity has, for the most part, failed to materialize. “I think you’ll start to hear a whole lot more about it in 2019, especially for patients who are taking specialty drugs and will probably exhaust their programs halfway into the year,” says Tyler Dinwiddie, a senior analyst at Decision Resources Group. What’s already clear is these programs are having a noticeable effect on pharma’s bottom line. In the first half of 2018, pharma’s net prices fell more than 5%. The decrease has been driven in part by co-pay accumulators, according to Richard Evans, cofounder and head of the healthcare practice at investment research firm SSR. Evans, who has worked in the industry for more than 25 years, can’t remember a decline of this magnitude. “It’s a major hit,” he says. As these programs proliferate, manufacturers will need to respond or risk compounding the damage. In the next two years, accumulators — along with maximizers, their less extreme cousin — are expected to expand from around 25% of U.S. employers to as many as 50%, according to the National Business Group of Health. Rick Fry, assistant VP of client services and operations at TrialCard, estimates about 6% to 10% of patients taking specialty drugs were impacted by these programs in 2018. In 2019, he predicts that figure will rise between 50% and 75% to impact between 9-17% of patients. Accumulators and maximizers represent the latest battleground in a prolonged faceoff between PBMs and drug manufacturers. “It’s a zero-sum contest that’s been going on for 30 years now,” Evans notes. In this context, the programs can be viewed as a response to the coupon cards themselves, which were introduced by drug manufacturers. Designed to cover an individual’s co-pay until the deductible is met, the cards allowed manufacturers to essentially bypass the tiered formularies of PBMs. Unsurprisingly, PBMs are not a fan of such assistance programs, contending they drive up healthcare costs. There’s some truth to this: Coupons can be used by manufacturers to keep patients on a branded drug even when cheaper generics are available. But over the past decade, as the industry’s focus has shifted away from drugs that affect a large patient population and toward specialty treatments, this argument has grown less compelling, says Howard Deutsch, principal and managed care practice lead at ZS Associates. Out of the 200 highest-expenditure drugs in 2014, 90 had coupons. Of these, 51% were either the single medication on the market or had only branded substitutes, according to an analysis by Health Affairs. Generic option or no, for PBMs and payers the outcome is the same. Coupon cards force them to cover more medications, often pricey specialty ones, by maxing out patients’ deductibles. Once one insurance company rolled out this [co-pay accumulator] program, all the major PBMs did exactly the same thing. It was the tip of the iceberg for a titanically dangerous concept. Co-pay accumulators are PBMs’ attempt to get back on the offensive. By stipulating that co-pay coupons will not count toward a patient’s deductible, they thwart manufacturers’ ability to get around the formulary. Such programs began surfacing a few years back, when UnitedHealthcare sent a letter to individuals covered by its plans. In it, the company stated coupons applied to certain rheumatoid arthritis medications would no longer be applied to deductibles. PBMs have also rolled out maximizers, which function as a “middle ground” between the status quo and co-pay accumulators, Dinwiddie explains. The aptly named maximizers take the maximum benefit amount tied to a co-pay card and divide it by 12, then take that figure and apply it toward the patient’s treatment each month. The insurer steps in to cover the rest. This scenario is still expensive for the manufacturer, which is on the hook for the entire co-pay card, and slightly more costly for the payer, who covers the differential each month. For patients, maximizers are a better option than accumulators, as maximizers allow them to stay on therapy for the entire year. However, maximizers block co-pay cards from applying to deductibles just like accumulators. Should an unexpected illness or health event occur, patients are still responsible for coming up with a potentially very large sum of money. “It’s not perfect for the insurer, not a good solution for pharma, and a little better for the patient,” Dinwiddie says. What’s more, in response to maximizers, some manufacturers have responded by lowering the maximum on co-pay cards. This “screws everybody in the Affordable Care Act exchange,” Evans notes. The major PBMs, including CVS, Express Scripts, Optum, and Prime Therapeutics, all offer their own versions of co-pay accumulators and maximizers. A recent report from Zitter Health Insights found that roughly one-third of people with commercial insurance had plans that implemented an accumulator or maximizer, a figure that is projected to grow. For example, Walmart and Home Depot recently announced new plans utilizing those strategies. Patient advocates worry that people will be caught off guard. UnitedHealth is calling patients whose co-pay cards will no longer be applied to their deductibles, but the company is in the minority. Most patients aren’t being notified at all, says Carl Schmid, deputy executive director of The AIDS Institute. What’s more, the co-pay clauses are often couched in misleading or, at the very least, confusing terminology and buried deep within lengthy summaries of benefits. Other plans have adopted language that says they can deploy co-pay accumulators at any time, even if they haven’t decided to pull the trigger just yet. “How is a person going to know?” Schmid asks. As the threat from co-pay accumulators builds, an increasing number of providers and patient advocates are speaking out about the issue. Unsurprisingly, much of the ire is directed at the programs’ architects — which is to say, the PBMs. Marah Short, associate director of the Center for Health and Biosciences at Rice University’s Baker Institute for Public Policy, believes this anger is misplaced. She offers an alternate reading of the situation: Co-pay accumulators are a necessary correction that provide PBMs and insurers with much-needed leverage in their negotiations with pharma, which continues to raise prices on drugs each year. “As long as consumers have coupons available to them, there is no incentive for pharma companies to lower their prices,” she explains. The only way to stop drugmakers from charging exorbitant prices is to punish them for it by making them suffer financially, which co-pay accumulators do by dampening the demand for drugs as patients switch to another medication or go off treatment. Unfortunately, Short concedes, this can come with a serious side effect: Human beings who are unable to afford their sometimes life-saving medications. “The patient is literally stuck in the middle of this battle,” she adds. In the short-term, financial pressure on manufacturers appears to be building. While list prices continued to rise in the first half of 2018, net prices — the amount the pharma company makes after all rebates and discounts are applied — fell. It’s a sign more coupon cards are being maxed out, which points to the existence of accumulator programs, Evans says. However, it’s unlikely these financial pressures will continue indefinitely, as manufacturers are scrambling to find ways around the accumulators. One option is to provide rebates that cover the cost of the drug in the form of a debit card, a strategy implemented by AbbVie and Novartis, among others. “It works like a tire rebate,” Dinwiddie explains. 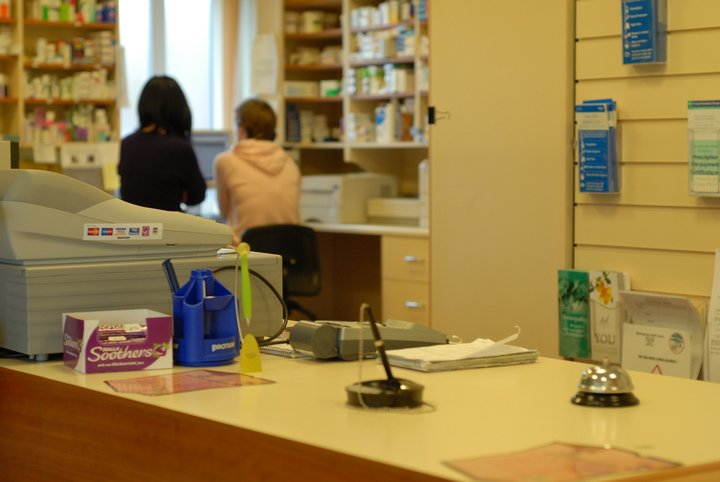 Patients pay for their prescriptions at the counter and send in their receipt or explanation of benefits to the manufacturer, which loads their debit card with the full refund. Eventually, he predicts, manufacturers will repackage co-pay assistance programs as supplemental insurance. Under federal law, insurance companies are barred from refusing to recognize supplemental benefit as a cash equivalent. However, the rollout of these supplemental insurance programs will be lengthy and time-consuming, as it requires pharma companies to register as supplemental insurers in all 50 states. “If you started today, it would take you 18 months,” Evans adds. Experts predict pharma will scrape together some sort of response that counters co-pay accumulators, and the pieces will end up more or less where they started. “It’s the next phase of the flow and distribution of money between one side and the other,” Dinwiddie says. As the two sides battle it out, patients with high deductibles who are taking expensive drugs will suffer. Average deductibles for single coverage skyrocketed from $584 in 2006 to $1,505 in 2017, according to a recent survey from the Kaiser Family Foundation. The slice of employees in high-deductible plans rose from 4% to 28% in that same period. “One of the many things we’ve learned from the ACA is that having health insurance is not the same as having access to the healthcare that you need,” Pitts says. If you started with a clean sheet of paper and tried to design a rational, fair, and efficient system, you would never design what we’ve got. This is yet another era of how these two industries interact with one another. Schmid has heard stories from patients who can no longer afford PrEP, the daily treatment that can help prevent HIV, because of co-pay accumulators. Other categories of patients who will be disproportionately impacted by these programs include those with MS, RA, and rare diseases — and if such patients stop treatment, the impact can be severe. There are no good guys in the war between manufacturers and PBMs. But this time, the collateral damage could be truly alarming, even in the context of a system replete with inefficiencies and inequities. This article has been updated to clarify the percentage of patients expected to be impacted by accumulators in 2019.